Our Crew members take pride in preparing and serving Cicis. They know that in order to do this right, they need a clean and organized work area. 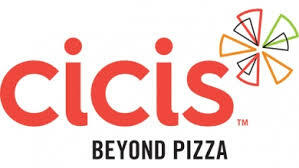 By consistently following the proper recipes and procedures, and adhering to Cicis high standards regarding food preparation, cleaning and sanitation, teamwork and customer service, they help to ensure that the Cicis customer experience is always the best it can be. If you prefer to apply via text messaging, please send code 37348 to phone number (318) 225-7679. 1. Do you have kitchen or food service experience? 2. Can you lift up to 30 lbs without assistance? 4. Are you at least 18 years old or older? 6. What has been your greatest achievement or source of pride to this point in your life? 7. What do you think would be a good reason to be absent from work? 8. If you are not sure what a coworker meant, what would you do?